This recipe for Date and Pecan Amish Friendship Bread Scones was submitted by Kitchen Friend Suzy and makes the perfect teatime snack. These scones also taste wonderful the next day, toasted and served with cream cheese or honey butter. 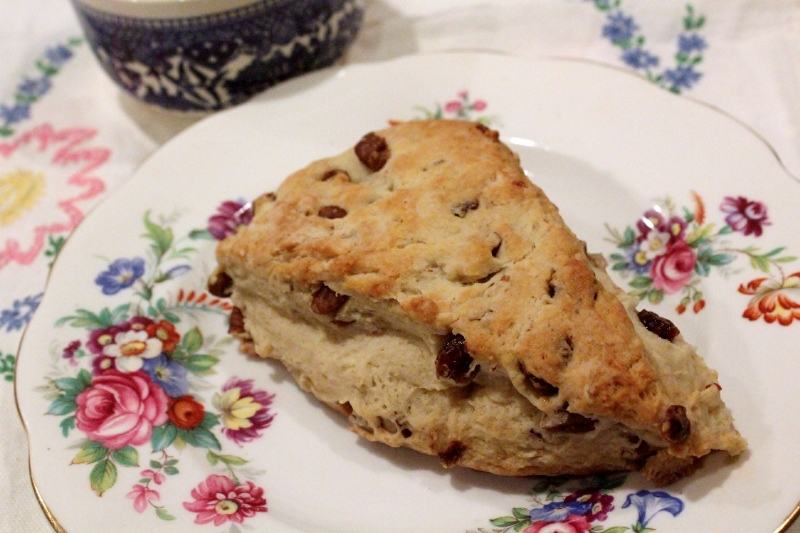 This recipe for Date and Pecan Amish Friendship Bread Scones makes the perfect teatime snack. In a mixing bowl sift flour, baking soda and salt. In another bowl mix starter with butter and stir into dry sifted ingredients. Form into a ball and then flatten to about an 1½" thick. Place wedges 1 inch apart on ungreased baking sheet. These scones were yummy. My family doesn’t like dates, so I substituted dried cranberries, walnuts and orange zest. The scones were huge and could easily have made 12. I love scones and love dates. Need to try these!